The conclusion of the Joint Comprehensive Plan of Action (JCPOA) between Iran and the P5+1 (United States, Russia, China, United Kingdom France and Germany), with the support of the European Union, represented a great accomplishment for multilateral diplomacy. The 2015 deal represented a serious Iranian commitment vis-à-vis the international community. For the first time, Iran agreed to decelerate its nuclear development, reduce its number of centrifuges and convert some nuclear facilities, and submit its nuclear activities to international scrutiny for at least 25 years. In return, Iran obtained international recognition of its right to develop a nuclear program under the Nuclear Non-Proliferation Treaty (NPT), as well as promises to lift all sanctions imposed by the United Nations Security Council, and US and EU sanctions leveled specifically on the Iranian nuclear program. Most importantly, the international community enacted definitive transparency and safety conditions on Iran and set a precedent for possible similar scenarios, such as North Korea. Since the agreement, Iran has expressed its desire to fully comply with safeguards agreements and additional protocols under the International Atomic Energy Agency (IAEA). Although President Donald Trump has decertified Iran’s compliance with the agreement, the consensus within Iran is to continue abiding by the agreement and refuse any alterations to the deal that could include broader issues, such as Iran’s missile program. Several developments in Iran facilitated the signing of JCPOA. The election of Iranian President Hassan Rouhani in June 2013 paved the way for a more diplomatic approach in Iranian foreign policy. In addition, despite a narrative of “resistance” by Supreme Leader Ali Khamenei and the political establishment, sanctions imposed on Iran since 2006 had become increasingly harmful for the Iranian economy and people. Genuine engagement in nuclear negotiations was unavoidable in order for Iran to normalize its position in the international community and achieve economic recovery. Meanwhile, President Barack Obama, in his second term, was liberated from internal pressure to pursue a more militarized approach towards Iran. Both Rouhani and Obama were also aware that the nuclear agreement was necessary to reduce the existing tension in the region, although neither leader was absolutely satisfied with the final terms of the deal. After its signature in 2015, Obama acknowledged that the JCPOA was “a deal between states that are not friends,” and “not built on trust [but] built on verification.” Iranian Foreign Minister, Javad Zarif, stated that JCPOA “was not a perfect deal”. Simply, while it was not ‘the’ best deal, JCPOA was the best deal that was possible. The situation drastically changed in the United States with the victory of Donald Trump in November 2016. His position against the JCPOA, which he repeated throughout the campaign, was clear. In October 2017, Trump decertified the deal, claiming that “the Iran deal was one of the worst and most one-sided transactions the U.S. has ever entered into.” Trump’s decision pushed the issue to Congress, which now has to examine the deal and Iran’s compliance. In Iran, though, the situation has remained relatively stable. Despite strong criticism of the deal from Iranian hardliners, there remains a consensus on the need to preserve and comply with the negotiated conditions regardless of Trump’s position. None of the six Iranian presidential candidates in the June 2017 elections, including the most conservative candidate, Ibrahim Raisi, even suggested the abandonment of the deal. While there was always, and remains, a consensus among the political elite on Iran’s right to have a nuclear program, there is an equally strong unanimity on the need to continue the Iranian commitment to comply with the JCPOA and the international community. Despite the negative reception that the decertification of the deal generated in Iran, there is a general understanding that President Trump cannot unilaterally cancel the deal without embarrassing himself in front of the other signatories of the agreement. President Rouhani said after the October decertification that “every day (Trump) says this deal is the worst in the US’ history. As he put it, it is shameful for America, but still he has not been able to do anything with this agreement.” At the same time, Iranian authorities believe that Trump is using the argument that the deal resulted in an increase in Iran’s regional influence as a reason to cancel the JCPOA. However, the Rouhani administration is determined to keep a clear distinction between non-nuclear issues and compliance with JCPOA. For the Iranian presidency, as well as for the Supreme Leader and the Iranian Revolutionary Guard, the missile program and Iranian support for or alliances with other regional governments, such as in Syria and Iraq, have nothing to do with the JCPOA, and are therefore not negotiable with the US. In sum, the Iranian position is clear, from the top of the political system to policy makers, analysts, and researchers: as long as the United States is the only actor opposing JCPOA, it is in the benefit of Iran to remain within the deal. First, Iran should focus on compliance with the deal, which has been confirmed by the IAEA, the EU, and the UN Security Council. Iran only recognizes the IAEA as the organization with the authority to verify Iran’s fulfillment of safeguards obligations under the JCPOA. Second, Iran must prevent the European Union from moving towards Trump’s stance. European support for the deal is due, in part, to a need to access the Iranian market and a desire to promote investments and bilateral trade and become a strategic partner of Tehran. Iran also wants and needs this economic relationship. Third, Iran will seek to increase cooperation in the realms of trade, security, and international politics with Eastern countries such as China, South Korea or India, as an alternative to the Western powers. Luciano Zaccara is a Research Assistant Professor at the Gulf Studies Center, Qatar University. 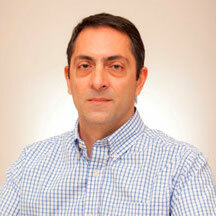 he is also a Visiting Assistant Professor at Georgetown University in Qatar and Director of OPEMAM, based in Madrid.